Let me tell you about a hero of mine, and the focus of one of the most requested collections stored in the Archives of the Royal Botanic Garden Edinburgh (RBGE) – George Forrest. George Forrest was born in Falkirk on the 13th March 1873, but by the time he left school at the age of 18, he was living in Kilmarnock with his eldest brother James who encouraged his love of nature and the outdoors. His first job working with plant derived drugs in a pharmacy and a trip to the outback of Australia further fuelled his hankering for a life as a plant collector somewhere abroad. His big break came in June 1903 when by good fortune he discovered human bones likely over 1000 years old whilst fishing at Gladhouse Reservoir, south of Edinburgh. This led him to spend time excavating the skeletons with the Hon. John Abercromby, secretary of the Society of Antiquities of Scotland, who in turn wrote to Isaac Bayley Balfour, Regius Keeper or Director of the RBGE, to ask if he was looking for a plant collector to work abroad as he had found “the right sort of man”. Balfour unfortunately didn’t have the funds to employ a collector but gave Forrest a meagre job in the RBGE Herbarium in September 1903 – a real life changer for Forrest as it was here he met his future wife Clementina, and it gave him the appropriate experience and put him in the right position to accept an offer in April 1904 from A.K. Bulley of what was to become Bees Seeds Ltd to collect hardy plants in the southwest of China. Within two weeks Forrest was on his way to Yunnan province in China after becoming engaged to Clementina. What then followed was seven expeditions to China undertaken by Forrest over 28 years. His first expedition was understandably chaotic – it was obvious he was feeling his way into the world of collecting and recording plants as mistakes were made such as restarting his numbering system from scratch every time he reached a new collecting locality! Needless to say, his first task on returning home to Edinburgh in 1907 was to sort that mess out and his collecting procedures became vastly more organised from then on! More famously in July 1905 he spent over 2 weeks hiding in the valleys near the Tibetan border evading capture by local rebels intent on his discovery and murder, so disgusted were they by increasing Western influence in their area at that time. 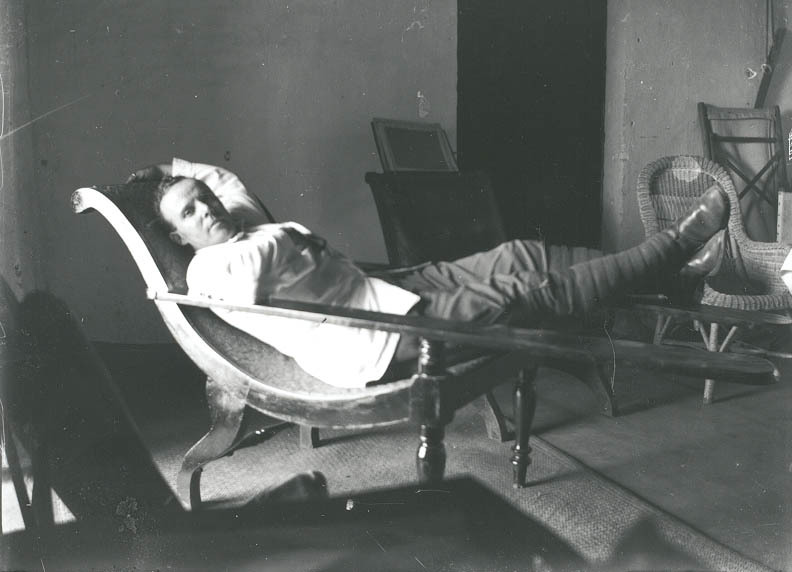 Less well known is that his life was also threatened in December 1913 when he inadvertently found himself trapped in Dali during a mutiny, saved by Chinese soldiers after two weeks of providing medical assistance to the wounded and dying – his pharmaceutical experience presumably coming in handy. Forrest with chief collector Lao Chao, undated. Usually though, Forrest had a good rapport with the local people he met during his travels. He trained and used the same group of collectors throughout his career in China – they would meet him at the border when he arrived and assist him throughout his expeditions – many lasting three years, and it is down to these men that Forrest was so able to systematically cover such a wide geographical area across Yunnan and become one of the most prolific plant collectors there has ever been – over 31,000 herbarium specimens in total. 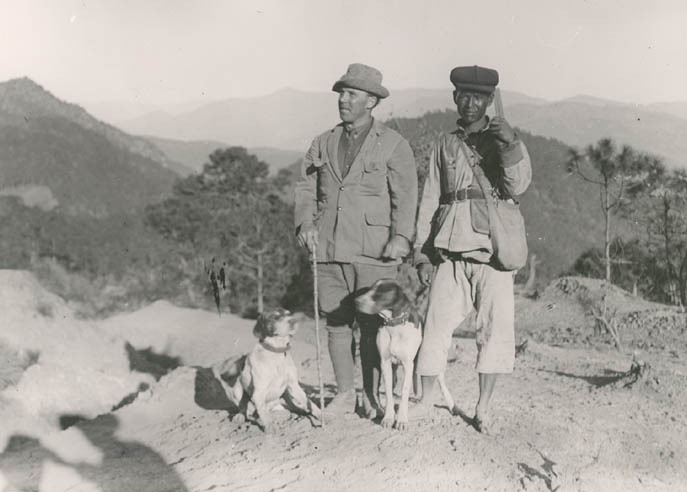 Under Forrest’s chief collector Lao Chao, they were able to collect and label plants in his absence too and Forrest hoped he would be able to retire to Edinburgh in 1932 but continue managing his collecting in Yunnan using these men. However, it was not to be. In January 1932, shortly before returning home for the last time with all his ambitions achieved, he collapsed and died in the hills near Tengchong. But what a legacy he left behind! The RBGE Archives holds his collection of photographs and plates, his field books, his correspondence and observations and much more – a hugely important and fascinating record of life in China before the Cultural Revolution made so many changes. It is an honour and a privilege to work with it.